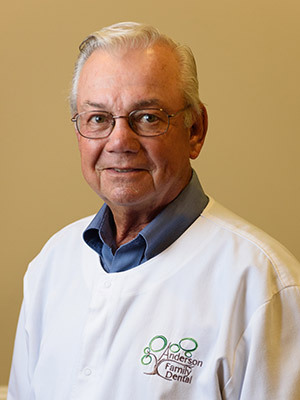 Dr. Anderson has been improving oral health and helping people smile with confidence for an impressive 50 years now. Originally from Upper Arlington, he completed both his undergraduate degree and his doctorate at Ohio State University. His favorite part of the job is the patients he treats. Dr. Anderson and his wife Dee have two sons, a daughter, and seven grandchildren. His hobbies outside of the office include golf, going to church, reading, and doing yardwork. He proudly served on the Gahanna Jefferson school board for six years and has also shot a hole in one at Pebble Beach!